The far-right French party, Front National (FN), borrowed €9 million from a Russian bank, posing questions over its relationship with the Kremlin. The loan, by the First Czech Russian Bank (FCRB), was granted in late September, according to a report out on Saturday (22 November) in Mediapart, an online investigative journal. It notes the FCRB is de facto owned by Roman Popov, a financier with close ties to the Russian political establishment. Wallerand de Saint-Just, the FN’s treasurer, told Mediapart the loan was organised by Jean-Luc Schaffhauser, an FN euro-deputy. “We’d been looking for a loan for a long time, notably to finance our election campaigns. Our bank, like many other French and European banks, categorically refused to lend a single centime to the FN or to FN candidates”, he said. De Saint-Just denied the FCRB loan amounts to foreign interference in French politics, saying he has never met Popov and has only had contact with the bank’s “technical" staff. 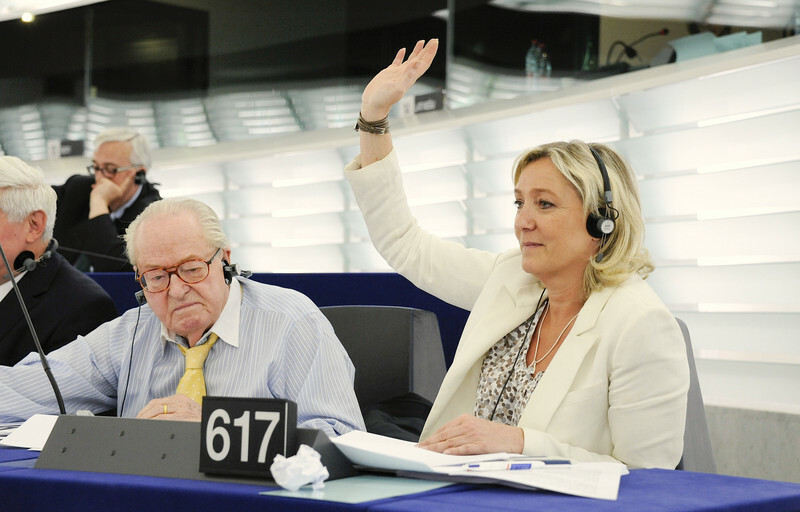 Marine Le Pen, the FN chief and also an MEP, told French daily Le Monde that her party tried to get loans from Asian, Italian, Spanish, and US banks as well as from the Russian lender. “The first one we managed to get, we signed, and we’re very happy … what’s scandalous is that French banks aren’t lending”, she said. She dismissed as “ridiculous” the question whether the FCRB millions came with strings attached. “That kind of insinuation is injurious and outlandish. Just because we got a loan, that’ll determine our international position? 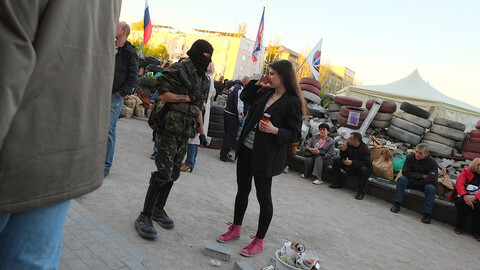 We’ve had the same [pro-Russian] line for a long time”, she said. 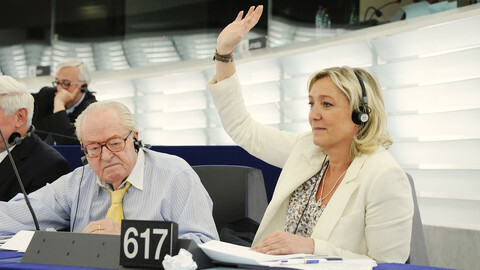 Le Pen has praised Russian leader Vladimir Putin’s actions in Ukraine and blamed the West for causing the crisis. 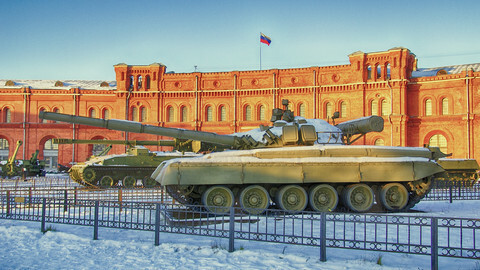 Her deputies vote against Russia-critical resolutions in the EU parliament. Schaffhauser was also one of a handful of MEPs who went to monitor "elections" in the Russia-controlled Donetsk and Luhansk “republics” in east Ukraine on 2 November. Aymeric Chauprade, Le Pen’s advisor on foreign policy, went to monitor the Crimea "referendum" on independence in March. 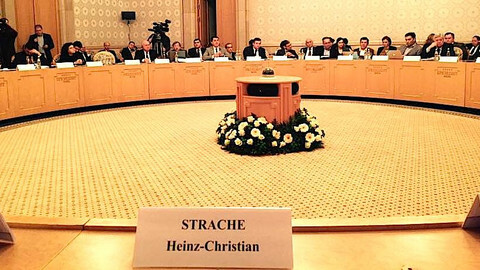 Le Monde reported earlier this year that Chauprade also met with Kremlin envoys in Vienna in May, along with other far-right European politicians, to discuss how to combat “European liberalism and homosexuality”. The FN is currently polling ahead of both the centre-left and centre-right Socialist and UMP parties in France. Meanwhile, Moscow's links to the far right are not limited to France. Hungarian authorities have asked the EU parliament to lift the immunity of Bela Kovacs, an MEP from the far-right Jobbik party, after accusing him of taking money from Russian intelligence services. Kovacs, who denies the allegations, like Chauprade monitored the Crimea "referendum". Tatjana Zdanoka, a Latvian MEP from the pro-Russian Latvijas Krievu savieniba party, who also went to observe the Crimea poll, is under a similar investigation at home. The EU, the UN, and Nato have rejected the outcome of “so-called elections” in east Ukraine, but Russia and a handful of fringe MEPs gave their stamp of approval. 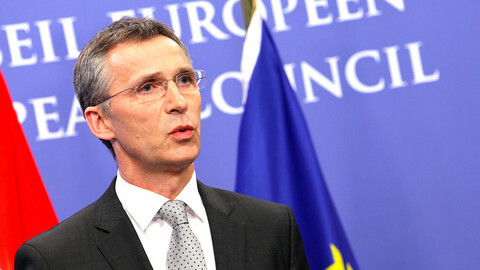 Nato has again warned of a “build-up” of “Russian forces” in and around Ukraine, one day after EU ministers shied away from Russia criticism. Ukraine’s envoy to the EU has warned that Russia is preparing a new "full-scale" offensive, in concerns echoed by the US and Nato. 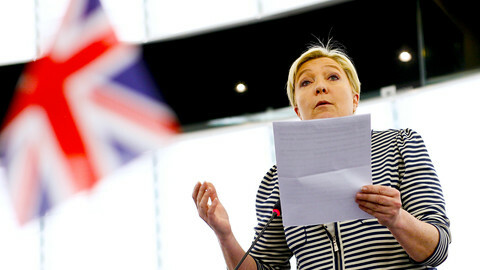 Britain’s Ukip and France’s National Front have teamed up with other anti-EU parties to vote against a Russia-critical resolution at the EU parliament.